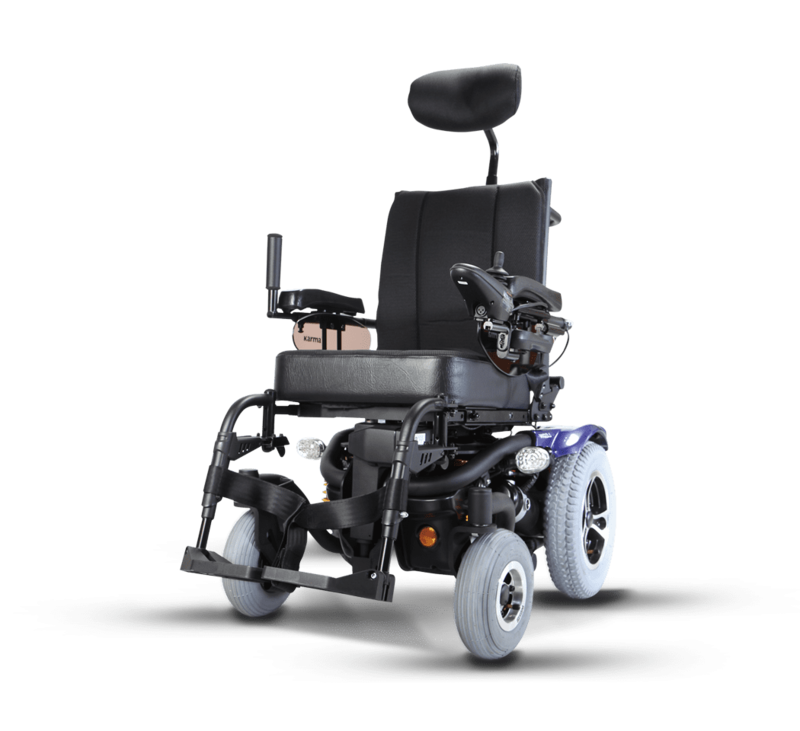 The Leon (LEN-SLN / LEN-SLN-T / LEN-SLN-TR) is an indoor/outdoor use, rear wheel drive power base. 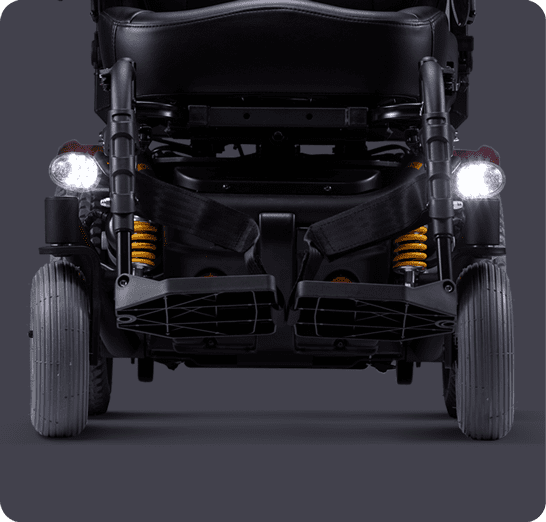 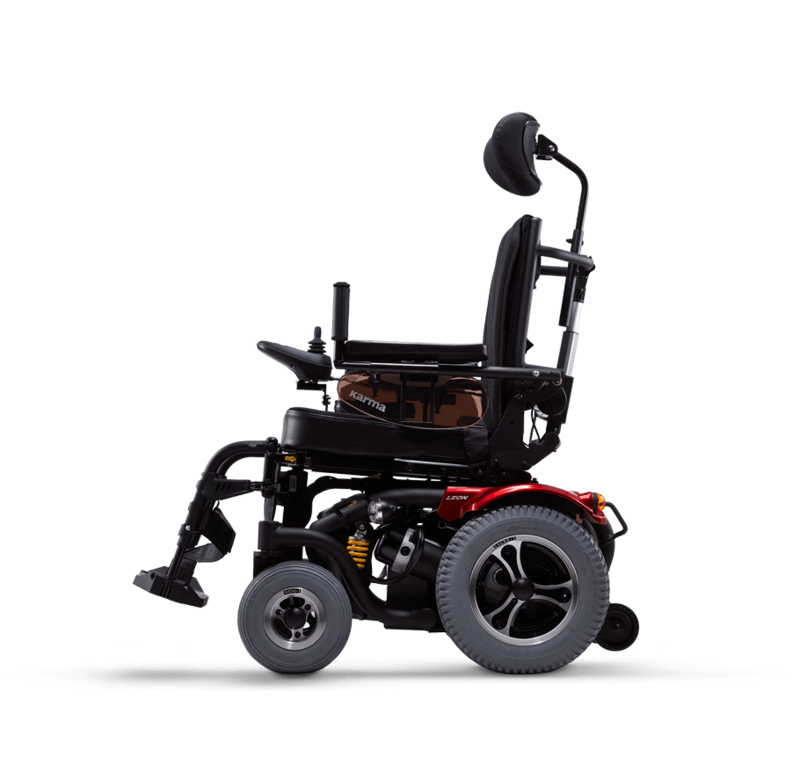 The exceptionally narrow wheelbase allows for agile maneuverability. 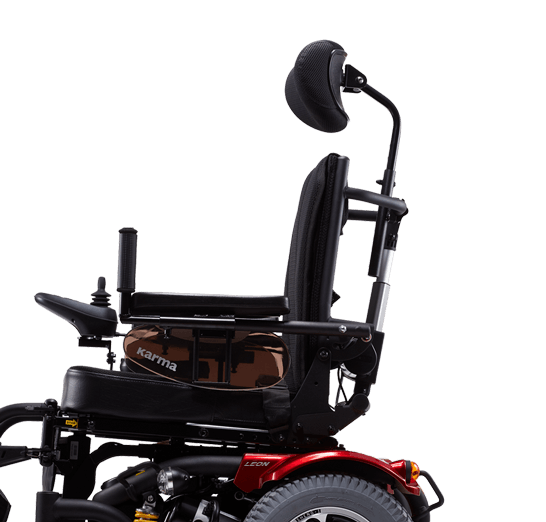 It is geared for speed without compromising on stability or control. 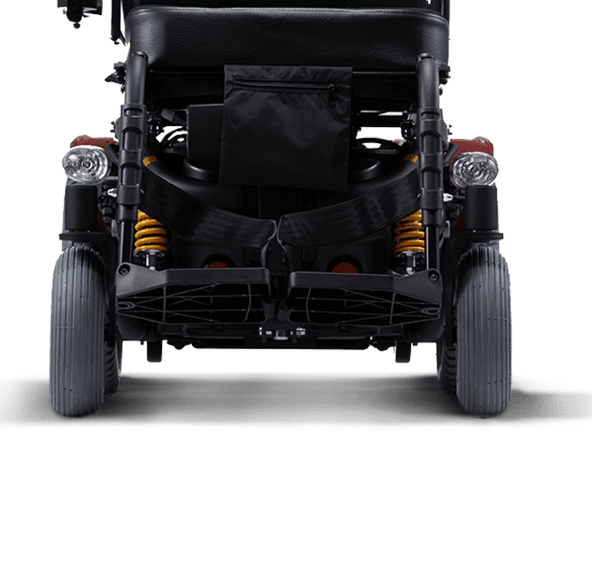 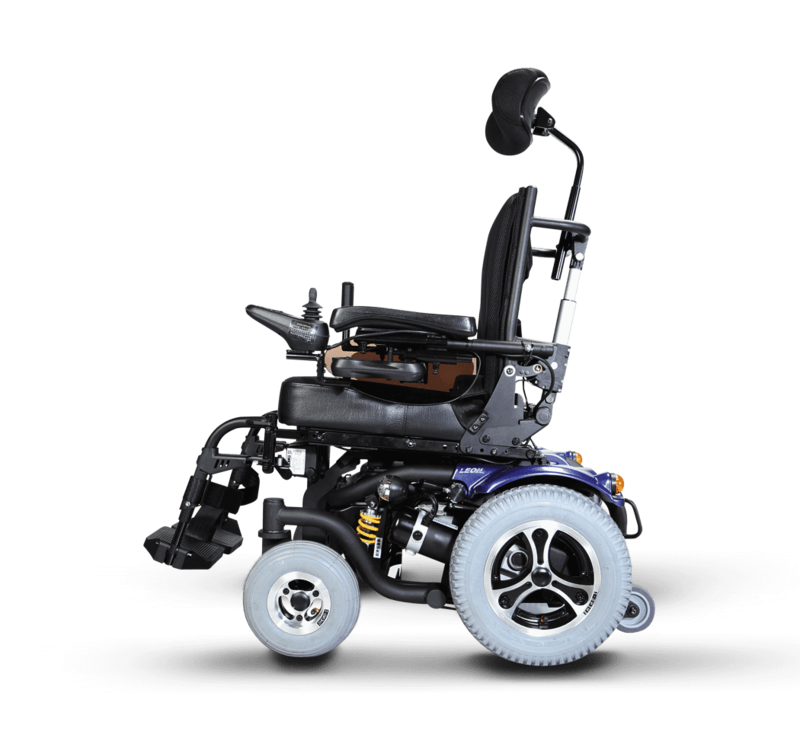 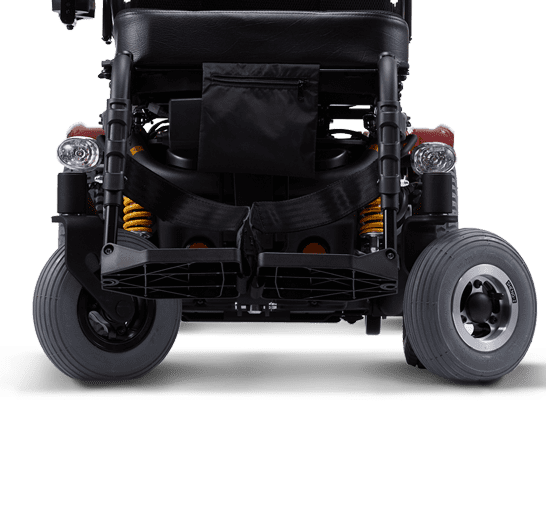 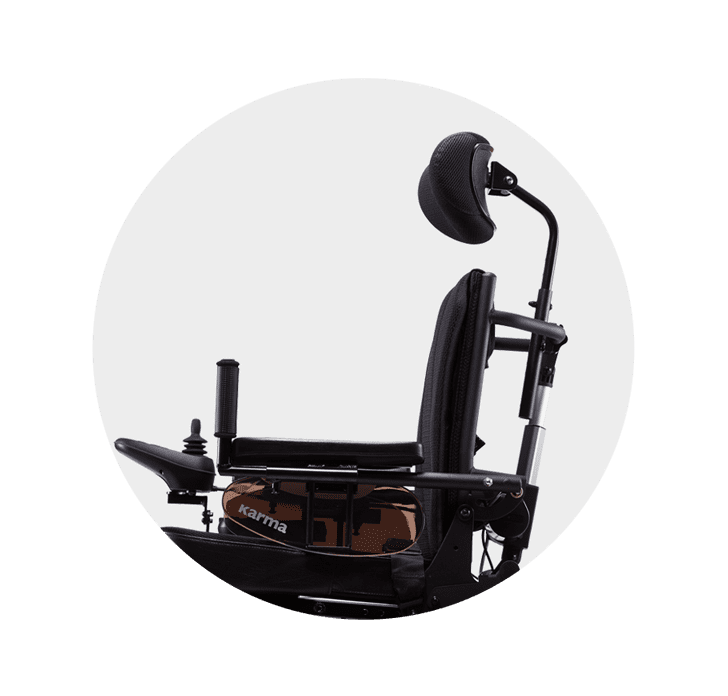 The Leon Sling seat is highly adjustable and offers power positioning modules, which makes the chair ideal for a rental program or personal use. 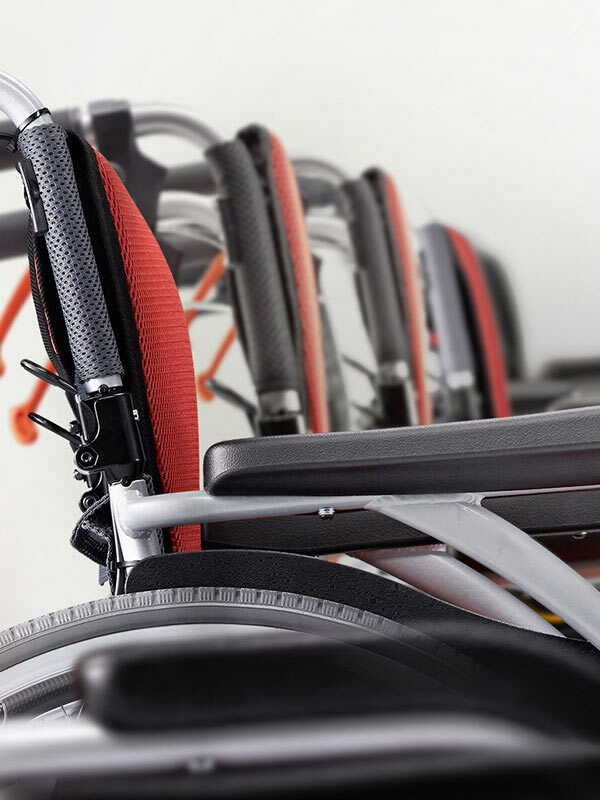 The LEN-SLN-T is a power tilt seating system that uses the tilt-in-space function to tilt the chair from 0° to 23°. 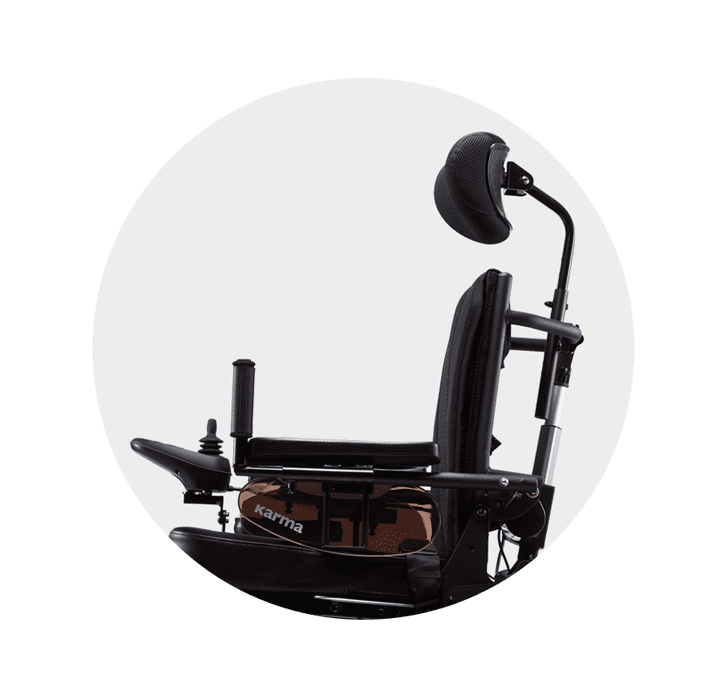 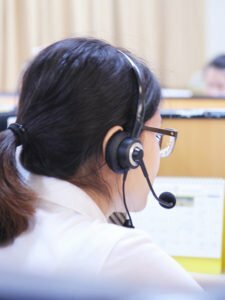 Tilting the body back will shift weight to the user’s back thus shifting pressure away from the hipbone and redistributing it over a larger surface area. 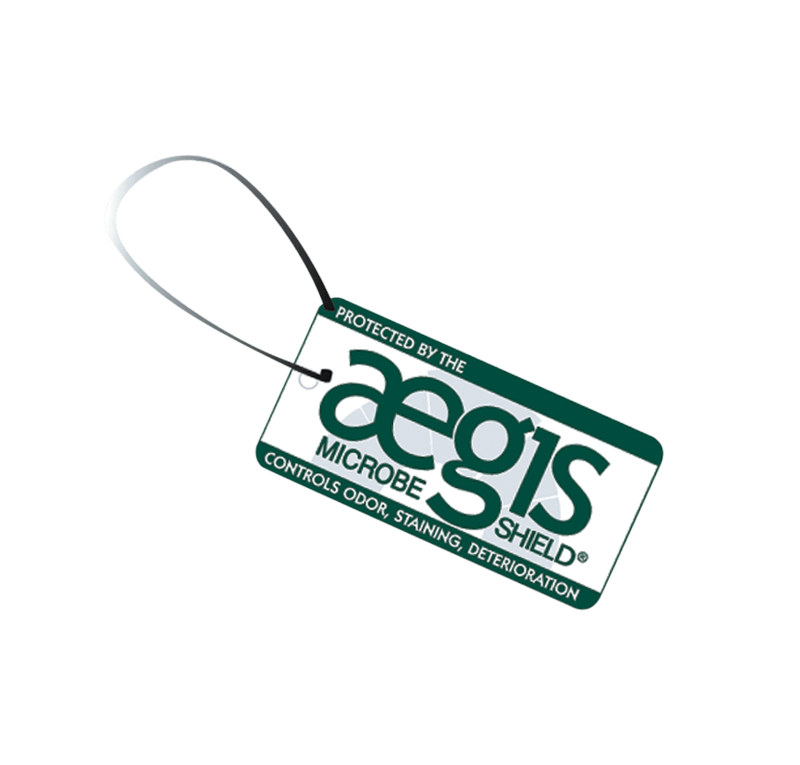 This feature helps reduce the risks of developing pressure ulcer and avoid back pain. 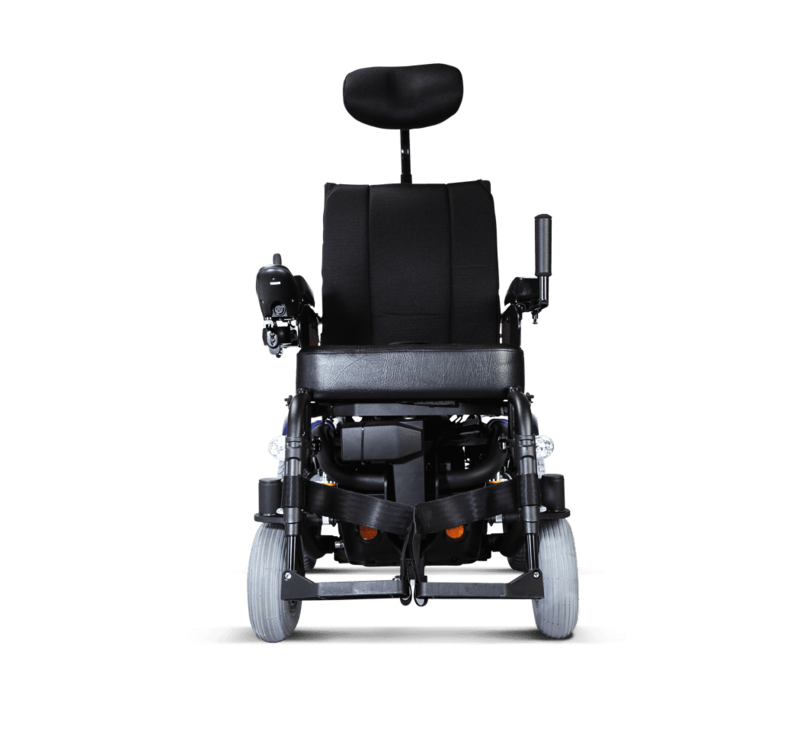 The LEN-SLN-R is a power recline seating system that offers the ability to recline the backrest from 0° to 32°. 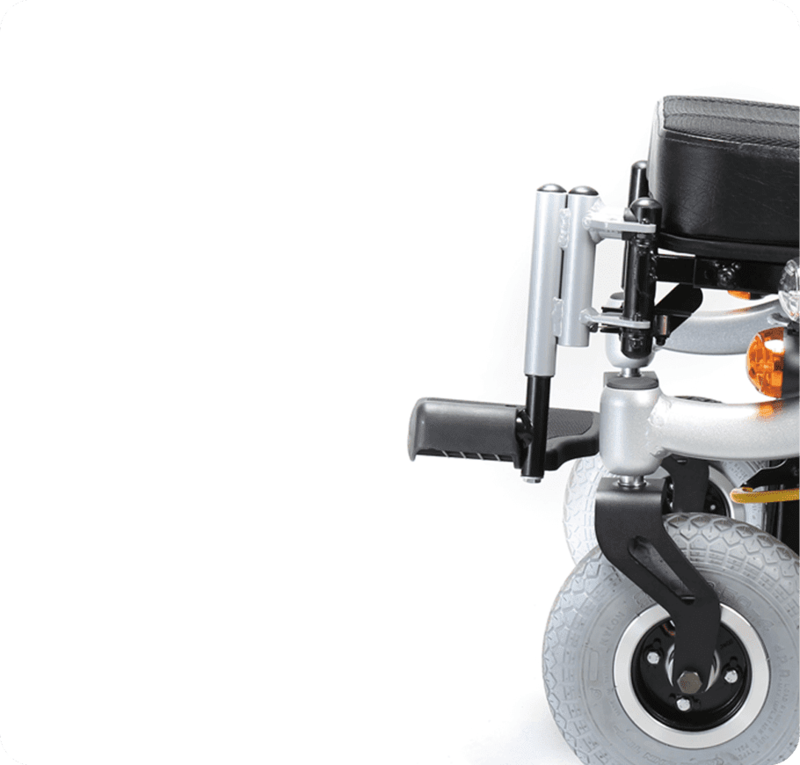 This allows the users to stretch their hip joint and relax the back muscle. 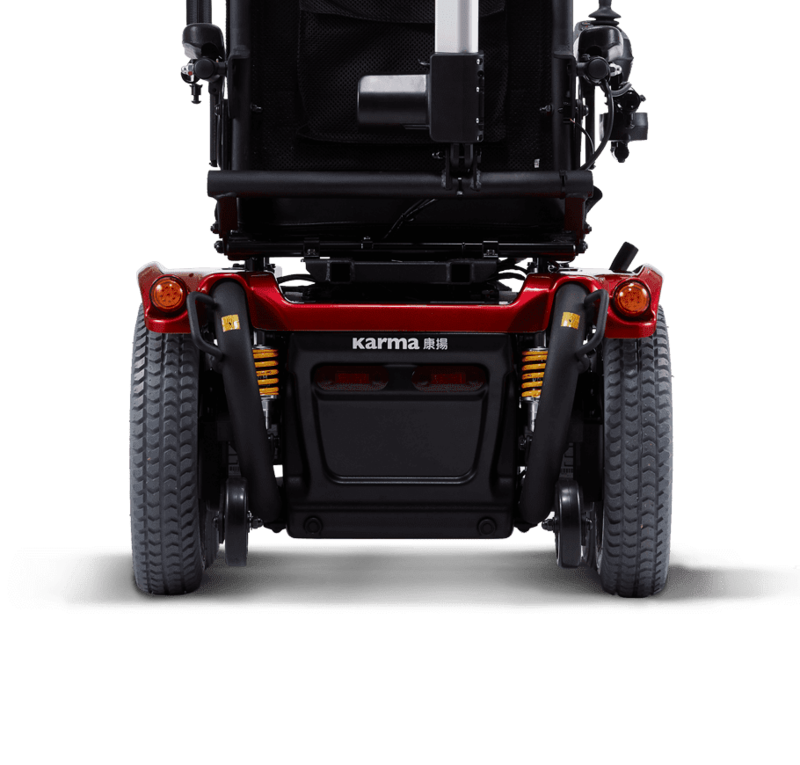 The two power functions can be implemented individually or in conjuction with each other on a sling seat. 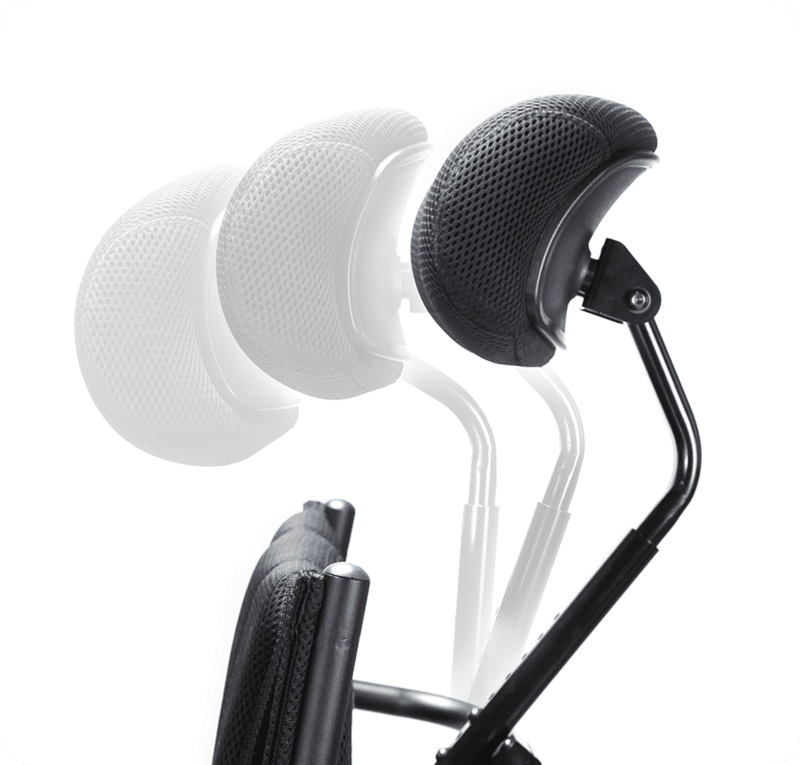 The height and angle of the headrest are both adjustable. 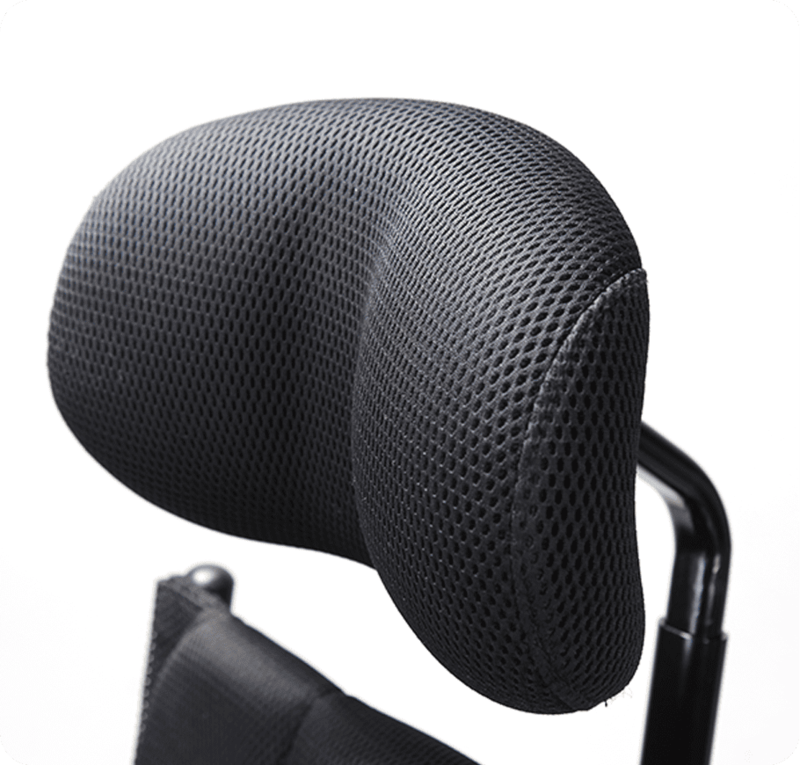 The headrest curved ergonomically according to the shape of the neck. 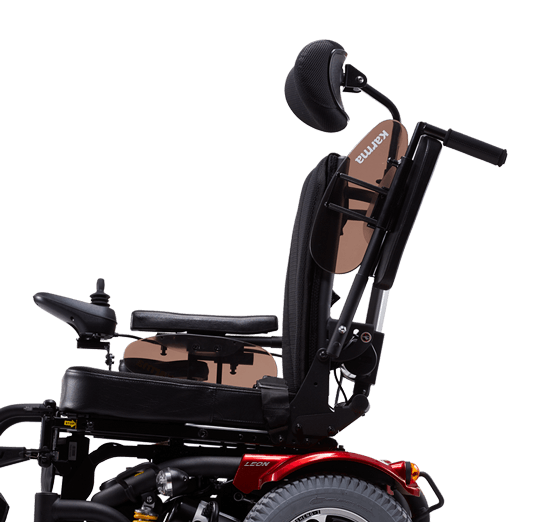 The Leon Sling seat offers various adjustability. 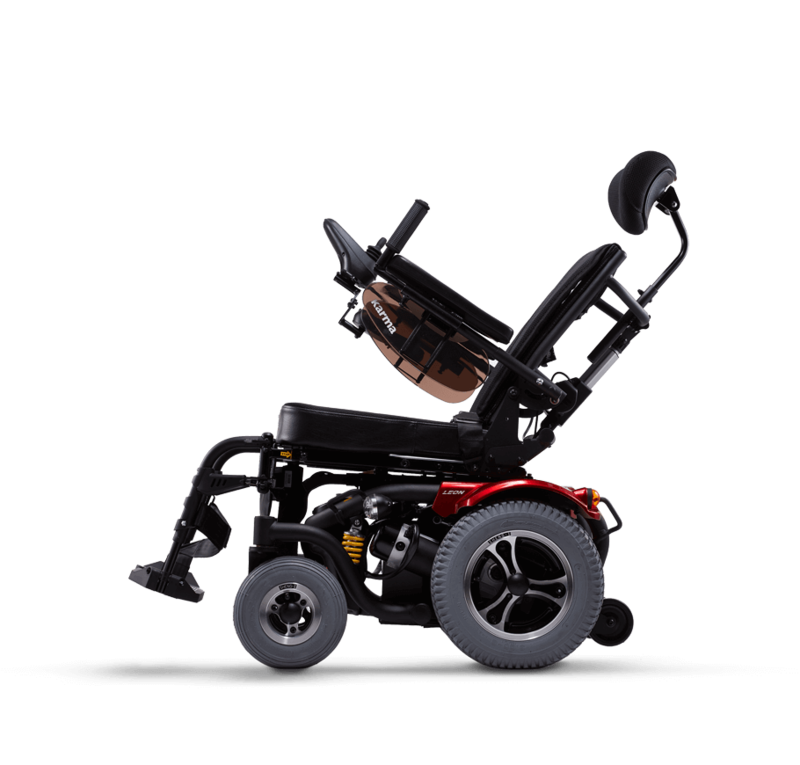 The seat depth can be adjusted from 41 cm to 46 cm. 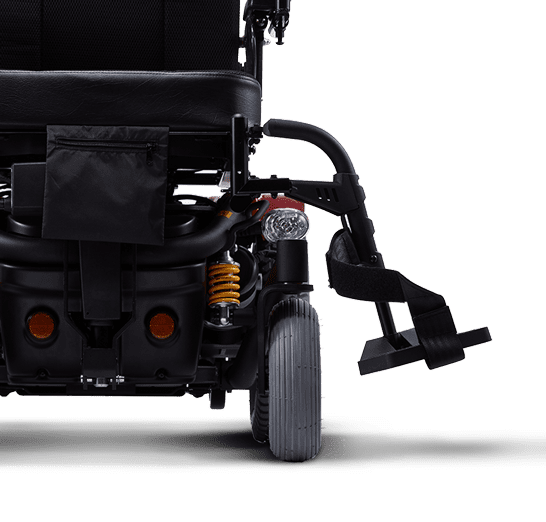 The backrest can be angled from -1° to 11°. 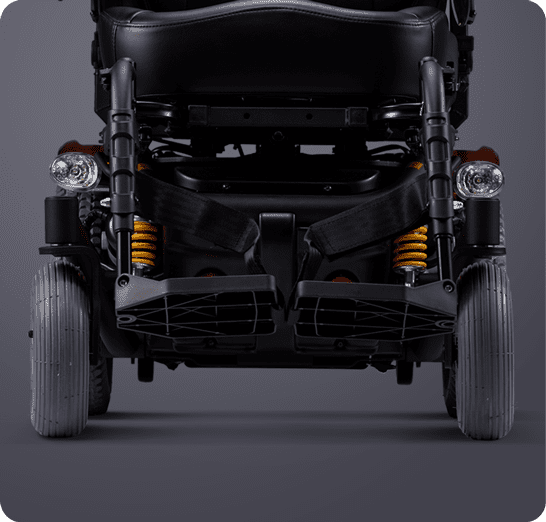 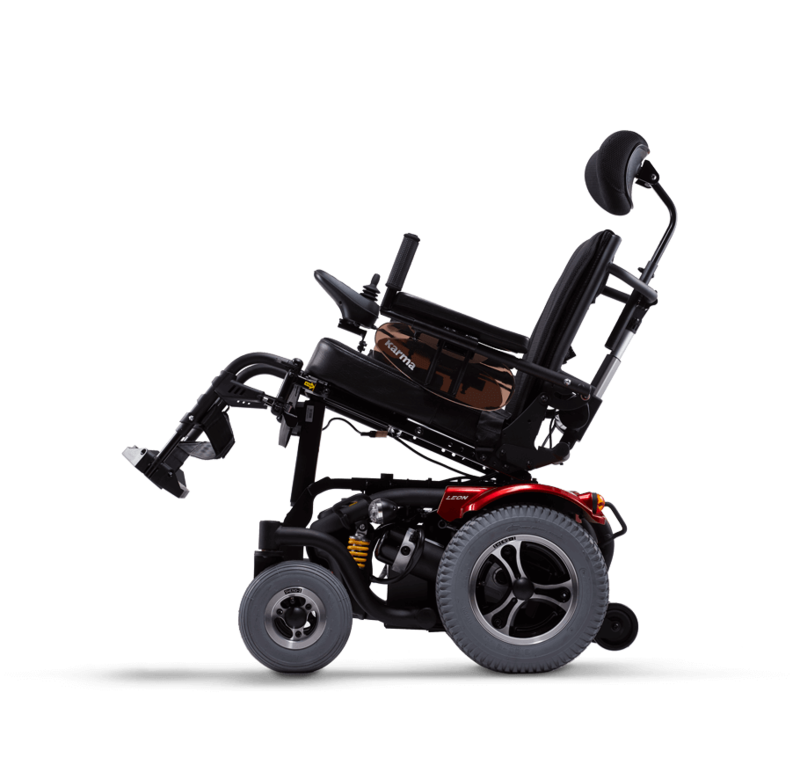 Allows for easy transfer, on and off the wheelchair and detaches with no tools required. 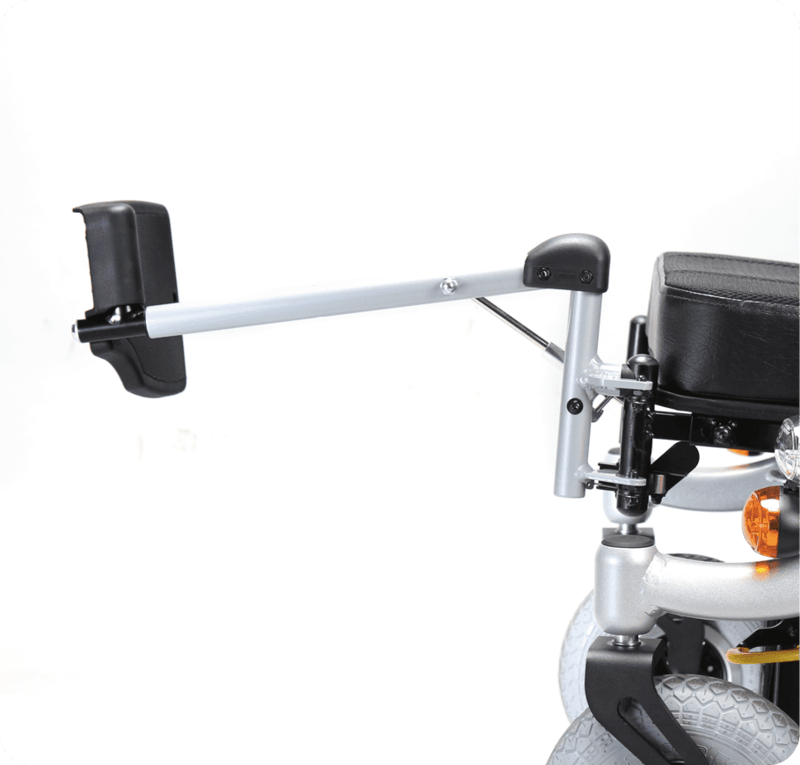 The footplates height is adjustable from 39 cm to 51 cm. 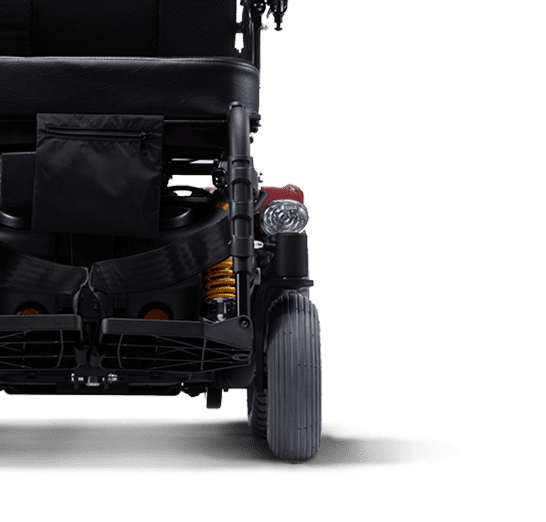 Articulating legrest extends in length as it is elevated to provide optimal comfort and support. 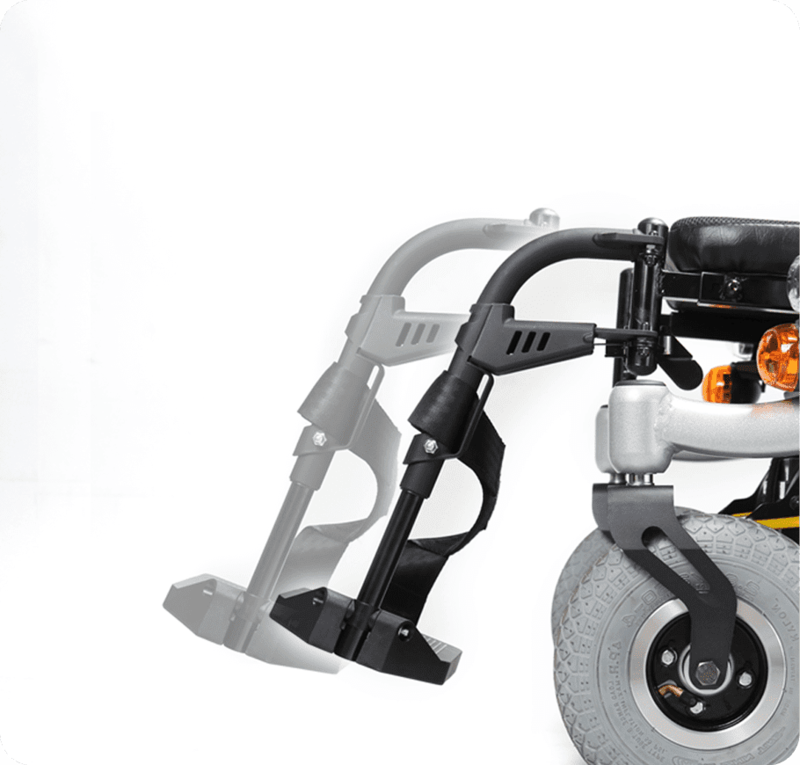 Amputee footrest is height, angle, and depth adjustable for the perfect support.